Highly automated structural steel processing that is American Made and produced with local forces with great precision. This process takes talent, focus and skill. 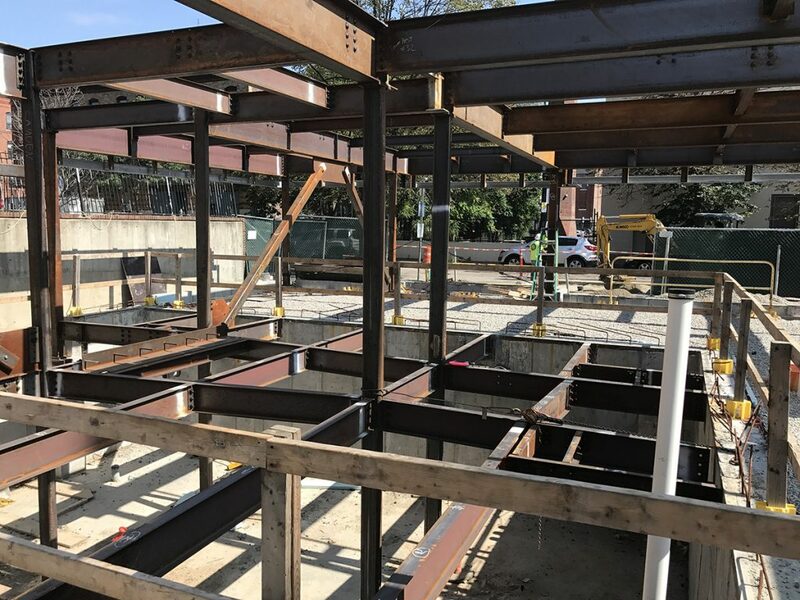 Though structural steel raw material is sold as commodity, the process and who is behind making it all into a building takes incredible skill and talent. Material is received at our shop from our vendors where it is unloaded from the trailers and sorted by zones. The zoning of the job will determine how we sort all the incoming material to increase efficiency. 90% of our structural steel is processed through our automated processing equipment. Our parts are made on automated CNC tables and our main members are run on automated processing equipment. This allows a high level of accuracy to all our components and in turn increases erection productivity in the field. As pieces are processed we look at the plans and then layout out all the parts on the beams. They then tack weld the parts on so they temporarily hold in place until they are welded. Once fabricated the beams are moved over to the welding stations. All previous tack welds from fabrication are now completely welded on. When beams are complete in welding, there are two options. The first is going to the paint area. If there is no paint on the job, then it is directly loaded onto trailers. All steel is loaded by the zones it will be erected in. We utilize 3D models in many ways. 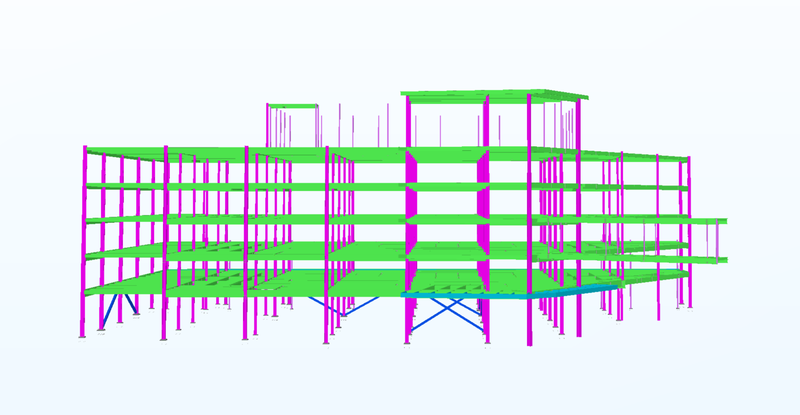 3D models allow us to better visualize a project, as opposed to just 2D plans. This helps us understand the wishes of the client and owner. Modeling a job lets us estimate quicker by ensuring all pieces are accounted for, and allows us to continue to provide competitive pricing for our clients.